She was the main voice on The Crystals’ “He’s a Rebel”, produced by Phil Spector, and also sang background vocals on classics like “Be My Baby”, “Monster Smash” or “Da Doo Ron Ron”. 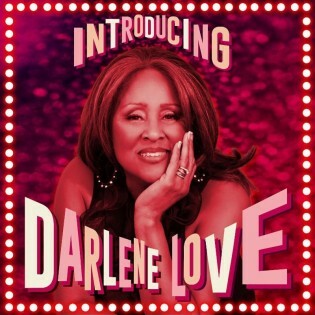 Darlene Love, one of the greatest voices of the 60’s, is back. Steve Van Zandt promised her in the 80’s (after attending her show in L.A.) to resurrect her career and cut a record with her. It never happened. Until now. So Steve asked his friends to deliver songs. Elvis Costello immediately sent four songs, and Bruce Springsteen sent two finished demos. The two unreleased songs Bruce contributed are “Night Closing In” and “Just Another Lonely Mile”. Steve Van Zandt, Barry Man & Cynthia Weil, Jimmy Webb, Linda Perry and Joan Jett also wrote some songs for Darlene. The first single, “Forbidden Nights”, was written by Elvis Costello and it’s a great pop songs that fits perfectly for Darlene’s voice and style. A video was filmed recently in Asbury Park to promote the song, and includes a cameo with the two prodigal songs from Asbury: Bruce and Stevie. The release party will be held at the Whisky A Go Go in Los Angeles on September 18th, starring Darlene Love and featuring Little Steven & friends. The album will see the light of day that same day. Esta entrada se publicó en News y está etiquetada con asbury park, bill murray, bruce springsteen, crystals, darlene love, elvis costello, joan jett, linda perry, phil spector, steve van zandt en 1 septiembre, 2015 por pointblank.